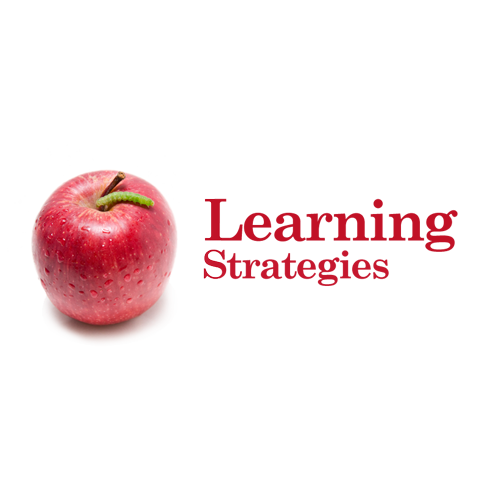 October | 2013 | What do self regulation and standards based education have in common? We want our children to speak freely, yet we also want them to listen. 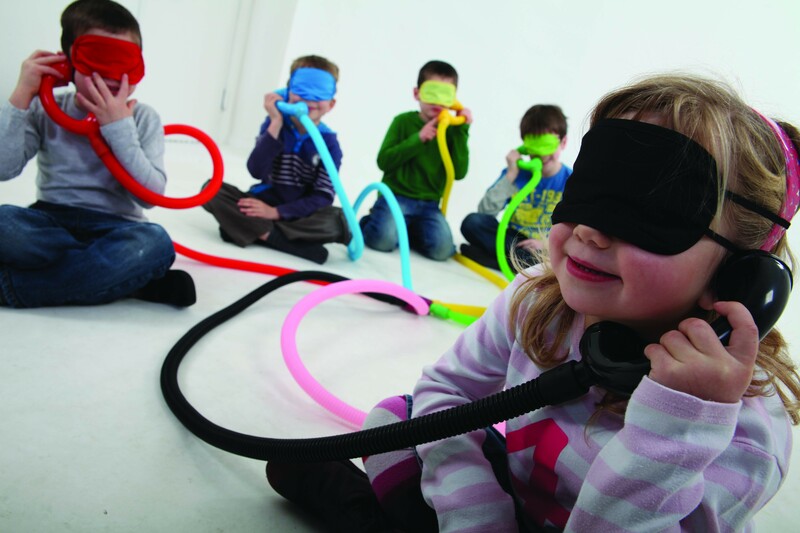 I came across this device after I wondered what fun ways are there to have children (and older learners) listen without quenching their desire to communicate. We need to pay close attention to how much they listen and whether or not they can identify the source of the comment or information. 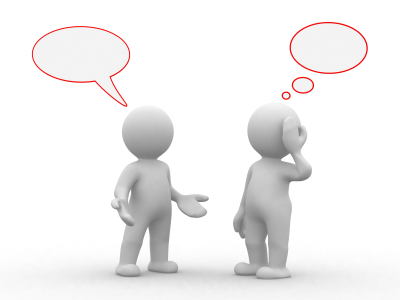 Attributing conversational style, thoughts and ideas, and tone to others are important communication skills. In this game the children are listening and trying to identify the speaker when responding to the comment or idea. They are having a conversation that demands listening before speaking. How many of us do not listen to every word the speaker says because we have our responses or own take on the situation running in our heads. It is the same for children and adults, we have not learned to apply listening skills to every speaking situation. We love the chattering child, until it is important that we interject without hurting their feelings ( this actually holds true for adults except we are quick to speak over or interrupt each other). The common core has an entire section on Speaking and Listening for all grade levels to increase communication skills. Who can disagree with that? Shifting is for those who choose to take charge of their learning! Have you been hearing murmurings about the “shifts”? Have you (like many others) thought about them more in the category of how the ground shifts beneath us during an earthquake? Let me calm your fears, the shifts are a painless and transitional integration into the land of learning from what we read. They are instructional and define the changes being encouraged by the introduction of the Common Core into our curriculum and classroom instruction in English Language Arts/Literacy and Mathematics. For this post I will generalize about what it means to shift using the English Language Arts Standards. Future posts will include instructional shifts specific to other areas. 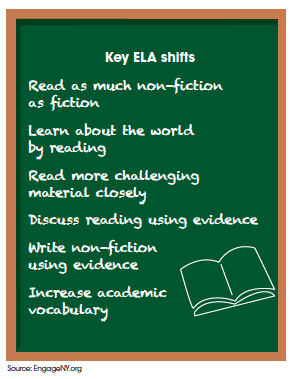 We need to be open minded about moving beyond goals that targeted learning to read in the early elementary years, and then reading to learn in the later years, to a balance of both. The shift means just that, a movement back and forth from stories and literary pieces to texts that grow interest and familiarity in gaining information. Shift one balances informational and literacy texts. I wonder, if perhaps more of us had been raised reading informational texts the challenge of building a toy from a manual would not cause such confusion to educated, literate adults ! Over the last few months I have spoken with four high school science teachers. 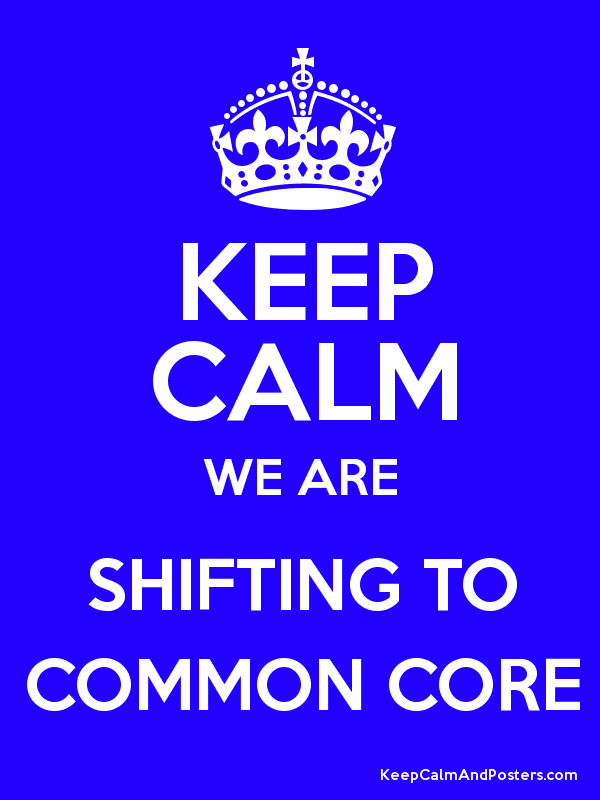 Apparently we are up and running with the common core in some states, but not in others. One does not have far to look to see that the method of instructing our younger students will “trickle up” to high school, however, how can it happen now? 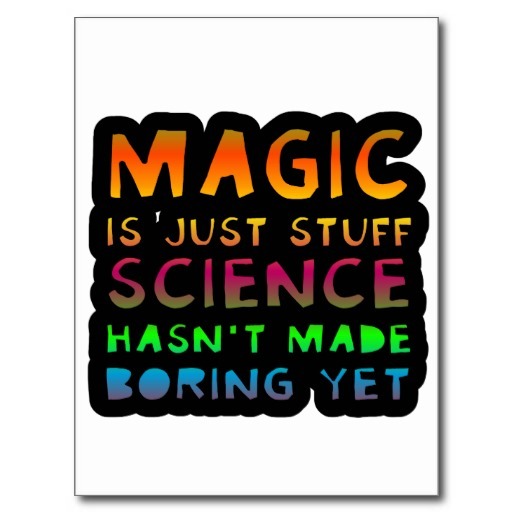 Crash courses on reading science textbooks will not make it happen, project and lab based instruction can bring science to life when the teacher and parent become engaged. The Common Core emphasizes problem-solving skills and project-based learning, especially in the lower grades. Too often science is put on the back burner in elementary school, and that can leave students struggling as they move to the more complex upper level classes. The marriage of math, science, and literacy are critical to the success of the common core. However, if you hear about yet another set of standards released this past year, the Next Generation Science Standards (NGSS) draw on decades of education research, aiming to improve U.S. students’ performance in STEM (science-technology-engineering-math) subjects. These standards layer on top of the common core to encourage the use of scientific thinking and inspire young learners towards careers in science. For me, the biggest obstacle to passing Chemistry was memorizing the periodical table. If I had been exposed to even one element of the periodic table in elementary school, seeing CO2 would have been associated with the air I breathe out, not a letters and numbers in a crowded table. Many of us remember the most fun part of science was the experiments. I wonder how many recall why we did them (goal), how we actually carried out the process (performance, self monitoring, and predicted outcome), and what steps led to our success ( reflection and attribution). I have thrown a few self regulatory words in here and that is where I see science education going. If you ask science teachers who have been fostering self regulation you will find many who use problem solving strategies to teach and inspire the learning of scientific facts. Whether in elementary or high school, this is the way to teach science. We need to learn from these teachers what is exciting and what is working. How do we enhance and grow a vocabulary painlessly and dramatically? 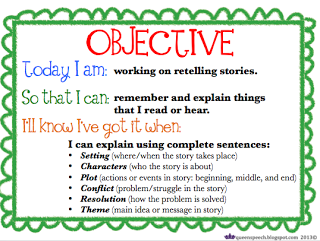 Literacy development is contingent on the use of words in both conversation and writing that encourage learners to set goals to use the vocabulary they are learning. 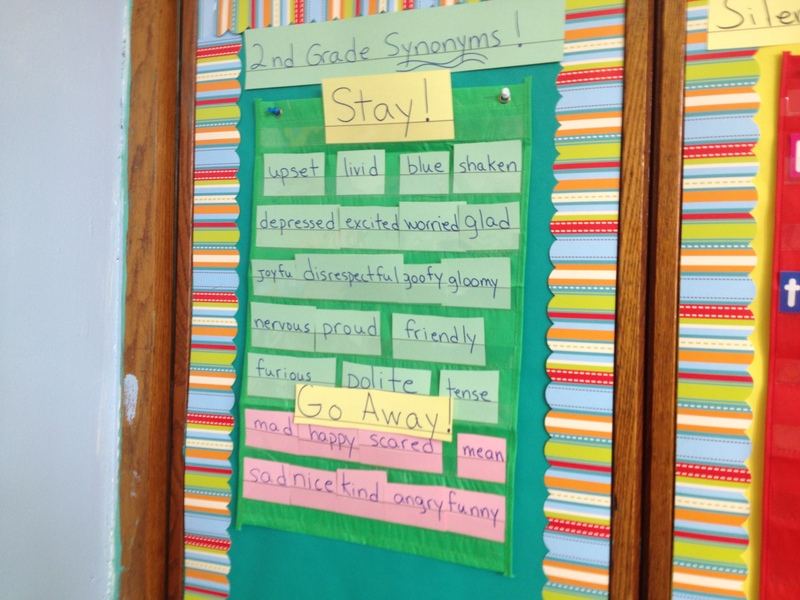 One way to do this (credit give to the second grade teacher in Brooklyn) is to have a “Stay” and “Go Away” word list. This allows the parent and teacher to help the learner (of any age group) to substitute a better word for a word currently in use. There is a comfort zone when using words that we are familiar with, however, Vygotsky (zone of proximal development theorist) showed us that when we challenge our children to stretch beyond the familiar to the uncommon we imcrease their learning. The “Stay and Go Away” method is a fun way to say these words are better choices than others. Parents and teachers can easily target certain words to move into the “Go Away” section without diminishing self efficacy when always accepting the choice of the simpler word, and then encouraging the movement to the replacement word. Just introducing other words that describe the commonly used “boring” or “bored” would be a tremendous move towards building descriptive and expressive language. Fluency is a good thing when practiced over time. Some teachers are finding methods that focus on progressive ways to include fluency in their literacy lessons and homework. Notice I said, “include’, not “focus on”. When the focus is “speed”, the practice is regimented and stressful, when the focus is “learn”, speed follows. We challenge our learners to do many things “quickly” without teaching a strategy to get it done. What we miss out on is that speed comes with progressive practice using a specific strategy, not practicing more. Seventy math problems, or long reading passages might appear to be discouraging to a young learner because the bar is set too high. Taking into account the attention span, vulnerability, and consequences of cognitive overload, can turn practice sessions into progress sessions in school and at home. Both reading and math need to be learned using cognitively guided instruction methods, allowing the brain to learn and practice in a stress free environment. Strategic learning is the door to the common core. Future blogs will include strategies to increase fluency in both mathematics and literacy that include what parents and teachers can do to break the cycle of practice….practice…practice by adding intrinsic and extrinsic motivators. It begins with goal setting, each time we sit down to do homework we need to set meaningful and proximal goals that when accomplished lead to increased self efficacy and serve as motivators for continuing…. Literacy development is a social experience! The image of the child reading alone in a corner on a rainy day does not begin in isolation, it grows from an environment rich with conversations about things that matter to the child! Vocabulary developed from conversations lead to a stronger recognition of words when seen in print. The common core standards hope to call our attention as individuals to help children develop the skills in reading, writing, speaking, and listening that are the foundation for any creative and purposeful expression in language. “Talking about it” is literacy preparation. It does not matter what you talk about, the application of thought….to language….to expression…is the beginning of a literate future. The conversations are child appropriate and encouraged by an adult or older peer to increase interest and understanding of a specific task. 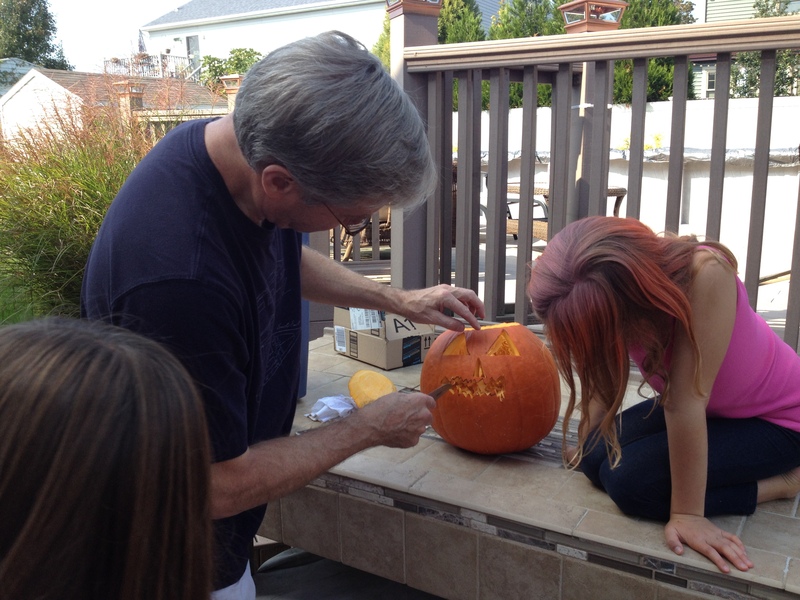 The carving and painting of the pumpkin was a social cognitive experience. Designing the face created a discussion about choices that could be made before the actual cuts were made. Goal setting, a self regulatory strategy, was encouraged through conversations between an adult and a seven year old young lady with ideas of her own. The conversation both supported and shaped ideas, included new language, and developed self efficacy. Following the conversation the actual cuttings were made, with the opportunity to self monitor the decisions, and make adjustments when necessary so the designer would be pleased with the results. “Can we change the mouth to have more zig zag?” led to adjustments to the original goal of what the pumpkin’s expression would become. Conversations leading to literacy development include adult words to increase vocabulary. Academic language can be incorporated into the conversation moving the discussion towards a scientific analysis of a common experience in a common core way! Voila! A thinking and doing task that combines many common core standards, and blends technology. Was it a teacher, parent, sibling or friend who encouraged this child to think and work independently on a task that requires intense concentration? Oh – and motivation? No one had to force this task, it had it’s own intrinsic and extrinsic motivators. Piaget would have loved this scene, discovery learning at it’s best! The rainbow loom has made it’s impact! In my day it was the potholder loom, in my daughter’s day it was lanyard, and now my grand daughter’s have introduced me to the Rainbow Loom! I heard math vocabulary terms bantered about as the decisions were made about what type of bracelet should be made…six point? rhombus? diamond pattern? As the girls discussed shapes and patterns one went her way to construct a bracelet….independent of her older sister. She was offered assistance, and she replied, “Thank you, but I have the instructions.” With her mini ipad and loom in hand she made her way to her room where I later found her busily and independently following a very detailed and intricate lesson on her ipad as she constructed her bracelet. Occasionally she returned to the living room to consult with her sister, and then went her way towards achieving her self-set goal. This learning experience should be welcomed into the classrooms. As models do the instructing, patterns are followed, and intricate mathematical operations are occurring in the midst of a meaningful and skill building task. This type of problem solving invites the use of self regulating strategies, such a self monitoring and self evaluation, to complete the task successfully. These are tools for life long learning, and that is what the common core is all about. The shifts in the common core include students evidence practice and understanding. In mathematics, students are moving beyond practicing and understanding in isolation. The core encourages more than than a balance between these two things in the classroom – both are occurring with intensity (Shift 6 Dual Intensity). Common Core’s English/language-arts and math standards leave much of the decision making to the local school districts regarding how to follow the outline of the body of skills and knowledge that students are expected to develop each year in kindergarten through 12th grade. The ultimate goal, not the proximal one, is to ensure our children will be ready to succeed in college and eventually the workforce after they graduate from high school.